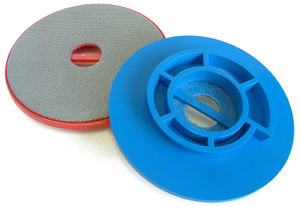 Electroflex discs suitable for marble, granite, engineered stone and terrazzo. A range of well proven diamond polishing system which are colour coded for easy grade identification. Combines long life and aggressive cutting action of diamond with the flexibility of the backing material.